Daman and Diu, the Union Territory of India is bordered by the Arabian Sea, and is located in the western coast of India. There are large numbers of tourists that are attracted to this place for a view of Portuguese architectures. The beaches, the thick palm groves and the historical monuments are some of the best things that one would like in this place. The atmosphere of this place is also quite calm and serene. There are indeed plenty of interesting places to see here. This is basically an amusement park with large numbers of colourful mountains, and this is also one of the best places to frolic around with kids and families. It is visited by large numbers of people. 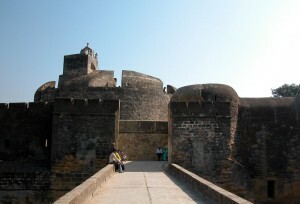 This is also one of the best places to visit in Daman and Diu. In fact, this fort acquires a prominent position in the history, as well as in the tourism of India. It is surrounded by the sea from all the three sides. Apart from that, there are also imposing structures that dominates the townscape, and at the same time, it also offers magnificent view of the sea, as a whole. This aquarium has been developed in the recent years, and the aquarium also displays a wonderful collection of some of the exotic and colourful fish. Tourists in Daman and Diu ensure that they visit this aquarium for a view of these lovely species. 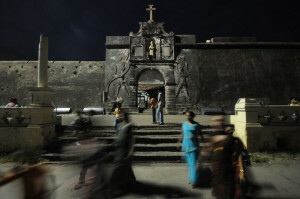 This is also one of the most visited places in Daman and Diu and there is an ancient church in this place. Apart from that, there is also a fort and a fishing dock. This is one of the best lighthouses that offer a mystic view of the beach. This is basically an artificially built complex with cottages, conference halls and cafes in it.